September. Month of Multichrome Madness. And Also a Baby! 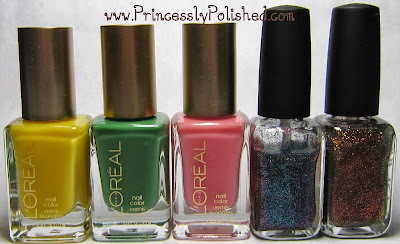 I did a bit of blog sale shopping for the L'oréal jelly polishes Bananarama Love, Creme de Mint, and Bubble Trouble. I also snagged the discontinued glitters Ozotic 528 and 530. 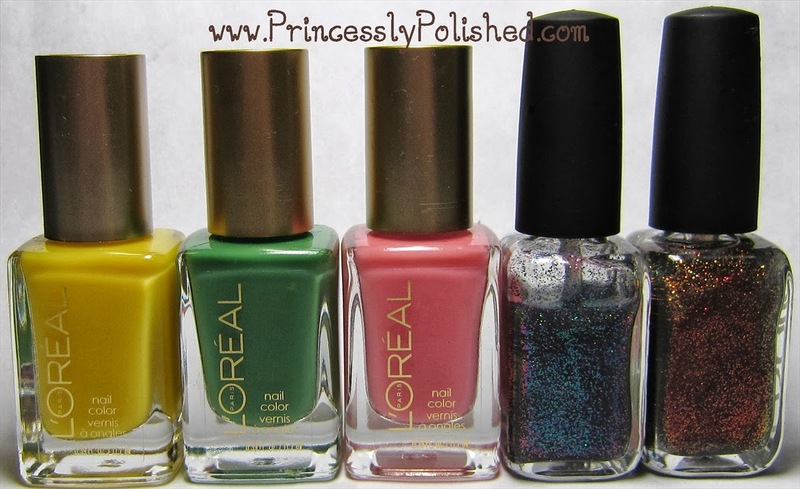 These five bottles all came from Jacki at Adventures in Acetone. Then I placed a very exciting Digital Nails (on Etsy!) order. I bought Convergent, along with the Starship trio! Serenity, Galactica, and Leviathan. 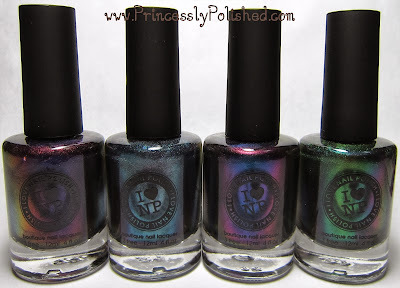 Sadly these multichrome glitters are suffering the same end as their Ozotic cousins above... once they're gone, they're gone. Freya is by far the best thing you got this month. Butu the polishes look pretty awesome as well.